All who know agree – a change is coming. From the thundering clouds of battle, a new god rears its scaled head. Sotek, the deliverer, god of Serpents and of War, has arrived. 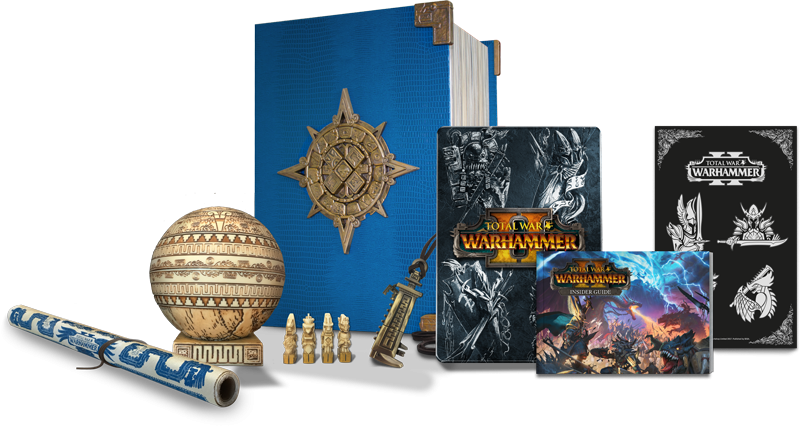 Truly an edition fit for a god, or at the very least a devoted high-priest, the Serpent God Edition comes wrapped in faux lizard skin, replete with stone effect glyphs modelled on Lord Mazdamundi’s headdress, detailing the temple-cities of Lustria.